Select your cake from our most popular options! Triple Chocolate! Devil's Food layers with chocolate buttercream between and dark chocolate buttercream around, how could you go wrong? 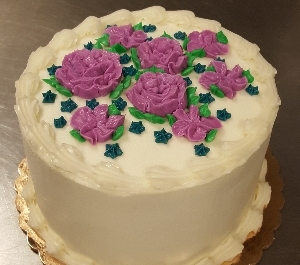 Plain it is not...Our vanilla cake with vanilla buttercream is sure to please any sweet tooth! A classic! 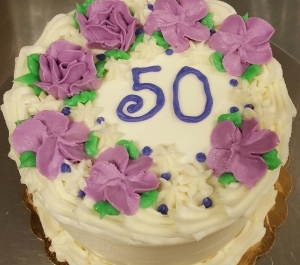 Traditional red velvet layers with smooth cream cheese icing, you'll love it! Trust us! Destined to be a new favorite, almond layers with raspberry buttercream between and white chocolate buttercream around. Yes, it is as good as it sounds! You can't go wrong here. 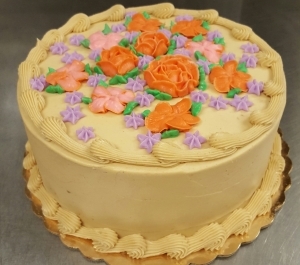 Our devil's food cake topped with classic peanut butter icing. 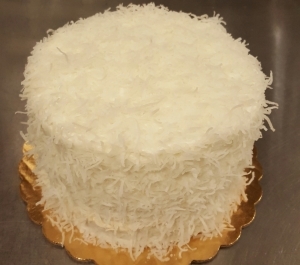 Our signature vanilla cake...this time topped with decadent coconut buttercream and coconut flakes. Thanks for Selecting Jacquelyn's. Order now! 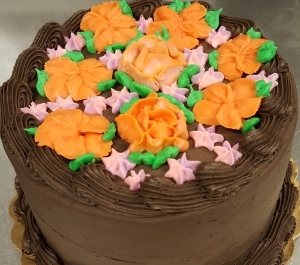 Jacquelyn has chosen six of the bakeshop's most popular cake and buttercream combinations! 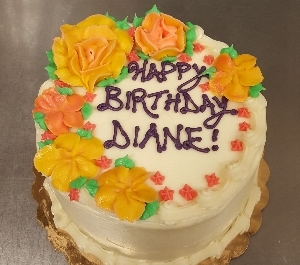 If you would like a different flavor combination or size, more detailed decoration, or have a dietary restriction, ordering via phone or in person is required. On a whim, without having any experience with Jacquelyn's, I ordered two pies for Thanksgiving - and they were AMAZING! My family couldn't stop raving about the Pumpkin, and especially the Caramel Bourbon Pecan. They even traveled well to Pittsburgh in the car for several hours. When I picked up the pies (and grabbed some coffee while there as well, also delicious!) the staff was so friendly, and the environment so warm and inviting. I can see myself spending more time in the cafe, and definitely ordering more baked goods and other items in the future! Highly recommend! Finally found a bakery to get a delicious, decorated, and affordable gluten free cake for my son. I will definitely be trying other desserts from here soon. Both the sweet and savory goodies have wonderful selection and flavors! Everything I've tried has been exceptional! We have a baking genius here in Hanover!